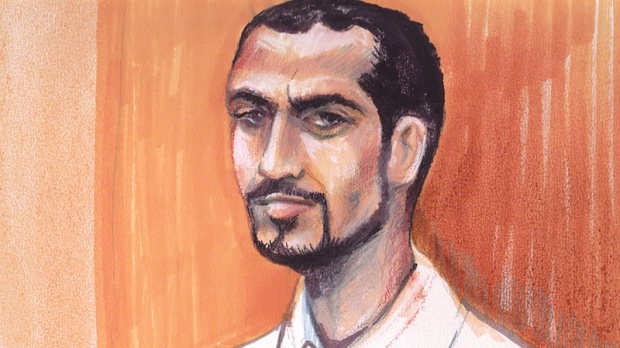 TORONTO -- Former Guantanamo Bay prisoner Omar Khadr deserves another chance to widen his civil lawsuit against the federal government but his lawyers first need to rework his claim, a judge ruled Wednesday. Federal Court Judge Richard Mosley made the decision despite government arguments that Khadr's request to amend his lawsuit -- originally filed in 2004 -- should simply be tossed. "I'm not sure that I should deny the plaintiff the opportunity," Mosley said. The judge did agree with government lawyers that the proposed new claim -- which would seek $20 million for Canada's violation of Khadr's rights -- needs rewriting. Khadr's lawyer, John Phillips, was pleased Mosley appeared sympathetic to allowing a broader suit to proceed. "We're going to have to do a better job with sharper pencils," Phillips said. A new issue is Khadr's contention that Canada conspired with the United States in breaching his rights when intelligence agents went down to Guantanamo Bay to interview him in 2003 and 2004. 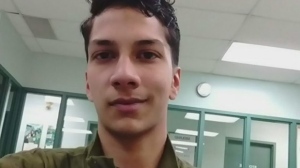 Recent documents show the RCMP was building a terrorism-related case against Khadr at the same time as the Americans were developing their war-crimes charges against the teen. However, American authorities refused access to him unless Canadian agents shared any intelligence gained from him, which they did, the documents show. Khadr, however, was never informed about that agreement or that he was the target of a criminal probe in Canada. "Canada and the United States were conspiring together to further his detention," Phillips told Mosley. "We don't know who is making agreements but it reflects a conspiracy." "Certainly there was an agreement that the recordings of the interviews would be shared with the U.S.," said Mosley, who has been privy to secret documents. For their part, federal lawyers attacked Khadr's proposed claim as "deficient" on the grounds that it was too vague and argumentative. "There are tremendous difficulties with what we've got now," Crown lawyer Barney Brucker said. The Toronto-born Khadr, 27, pleaded guilty to five war crimes -- including murder in violation of the law of war -- before a widely maligned military commission three years ago. He now insists he had no choice because he faced indefinite detention even in the unlikely case of an acquittal. Brucker's co-counsel, Jessica Winbaum, argued Khadr was essentially asking a Canadian court to rule on an American legal proceeding. The proposed claim, she said, was an "indirect attack" on the U.S. government. "Guantanamo Bay cannot be put on trial in a Canadian court," Winbaum said. "That seems to be beside the point," Mosley interjected, saying it didn't matter if one party to the alleged conspiracy was beyond the reach of his court. Mosley also noted that Khadr's plea agreement with the U.S. would not stand up if it was coerced as he alleges. Khadr was 15 years old when the Americans arrested him in July 2002 following a brutal firefight in which he was horrifically injured and an American special forces soldier was killed. He spent a decade in Guantanamo Bay before his transfer to Canada in September 2012 and is now serving out his eight-year American sentence in an Edmonton prison. Phillips said he planned to provide a reworked statement of claim to the government for a response ahead of a proposed case conference with the judge in mid-January. After that, Mosley will make a final determination as to whether Khadr can add the new causes of action to his existing lawsuit.